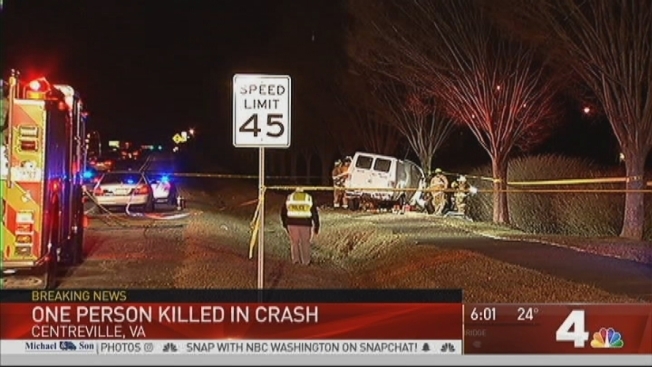 A man is dead and a woman was injured after the van they were riding in hit a tree in Centreville, Fairfax County police say. The woman was driving the van northbound on Route 28 when she lost control near Bradenton Drive, jumped a curb and crashed into a tree just after 2 a.m.
Jose Merida, 43, was pronounced dead at the scene. The driver was transported to the hospital with non-life-threatening injuries. Police say speed and alcohol do not appear to be factor in the crash. It's not known whether charges will be filed.